Erik Zimmerman guides clients through complex litigation and appeals. He has helped companies, universities and individuals navigate antitrust suits, class actions and other high-stakes disputes in courts across the country. Erik's recent experience ranges from helping a health care provider defeat a preliminary injunction motion relating to a $100 million contract to helping the governor of North Carolina secure a preliminary injunction relating to proposed amendments to the North Carolina Constitution. Erik has particular experience in appellate litigation, drawing on his experience as a law clerk for Chief Justice John G. Roberts Jr. of the U.S. Supreme Court and Judge J. Harvie Wilkinson III of the 4th Circuit. He has argued appeals in the 4th Circuit and the North Carolina Supreme Court, and has filed briefs in the U.S. Supreme Court and appellate courts nationwide. 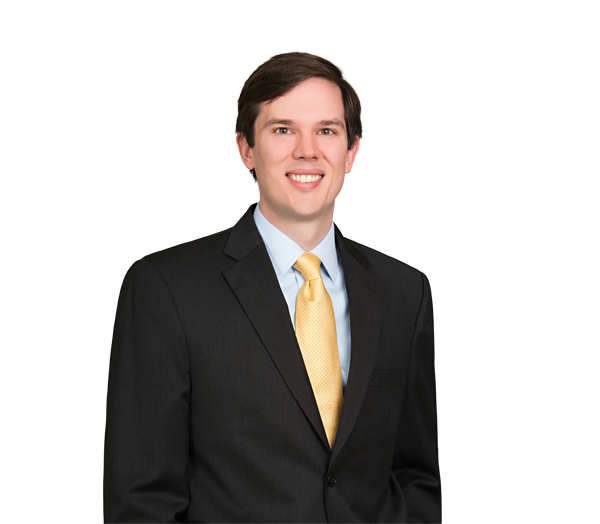 Erik also co-chairs the firm's Appellate Practice Group and serves on the North Carolina Bar Association's Appellate Rules Committee and Appellate Practice Section Council. Before joining Robinson Bradshaw, Erik practiced with Gibson Dunn in Washington, D.C. Represented the largest health care provider in the Carolinas in defeating a request for preliminary injunctive relief related to a $100 million anesthesiology contract in an action involving antitrust and trade secret claims. Represented the University of North Carolina at Chapel Hill in a class action proceeding in North Carolina federal court involving an alleged no-hire agreement. Represented National Gypsum Co. in multidistrict class action litigation involving antitrust claims brought by direct and indirect purchasers of gypsum wallboard. Represents a large poultry company in class action litigation involving antitrust claims brought in North Carolina federal court. Represented North Carolina Gov. Roy Cooper in litigation challenging the legislature's ballot language relating to proposed amendments to the North Carolina Constitution. Successfully argued a motion for preliminary injunction before a three-judge panel. Argued pro bono appeals in the 4th Circuit and the North Carolina Supreme Court on issues of constitutional law. Submitted several amicus briefs in the U.S. Supreme Court, including a brief for the Lawyers' Committee for Civil Rights Under Law about judicial review of partisan gerrymandering. Successfully represented a federal contractor in the U.S. Supreme Court in a False Claims Act case. Filed several petitions for writ of certiorari in the U.S. Supreme Court, including a petition for a medical device manufacturer on an issue of federal preemption of state law. Successfully appealed a judgment of nearly $100 million to the 4th Circuit in an insurance contract dispute. Persuaded the D.C. Circuit to overturn an FCC ruling against a cable television provider under the Telecommunications Act of 1996. Defended an aerospace company in a class action brought by employees and labor unions under ERISA and the Labor Management Relations Act. Represented the independent directors of a financial services company in a class action involving ERISA claims brought by participants in the company's retirement plan. Defended an accounting firm against class action claims under the federal securities laws. Represented the plaintiffs in a North Carolina Business Court case involving claims of misappropriation of trade secrets, breach of fiduciary duty, and misappropriation of corporate opportunity in the used textile recycling industry. Successfully argued against the defendants' motions to dismiss. New Friendship Used Clothing Collection, LLC v. Katz, 2017 NCBC 71 (N.C. Super. Ct. 2017). Secured dismissal of a False Claims Act suit against a health insurance company. Obtained dismissal of a multibillion dollar breach of contract action against a social networking company.